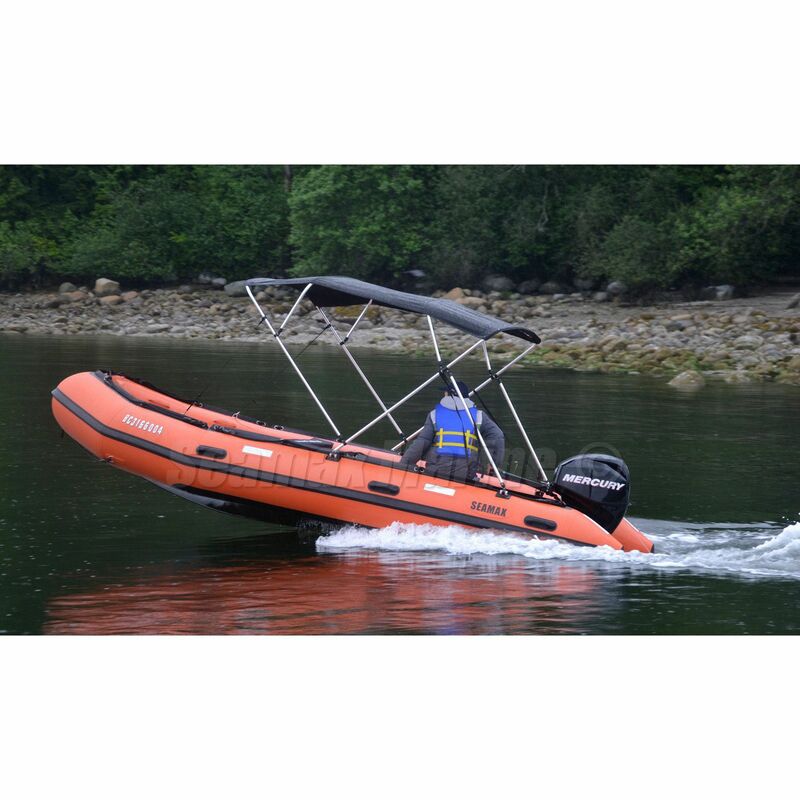 5 pontoon chambers and 1 keel chamber, Chambers with 4 layers overlapped seam, max pressure 3.6PSI (25kPa); Aluminum floor & reinforced V bottom; Long shaft 21”/ 82°, reinforced transom. 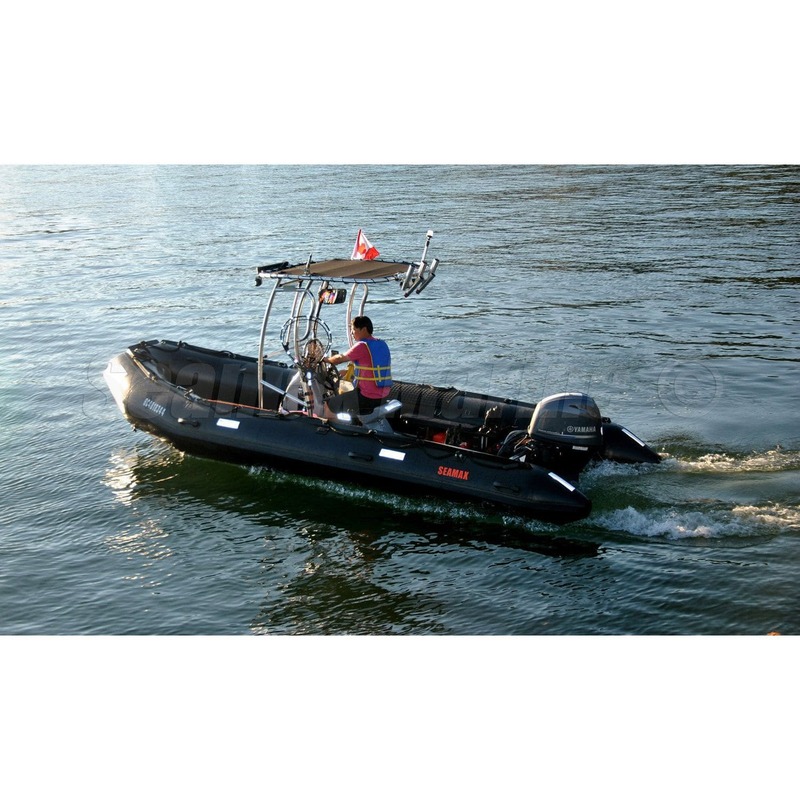 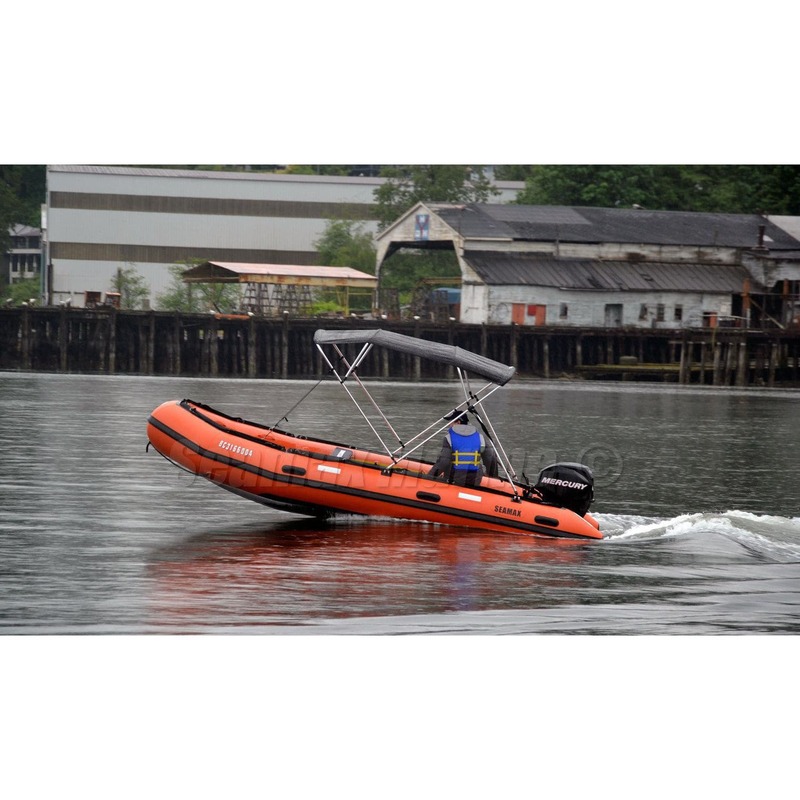 Non-skid sectional heavy duty aluminum floor system with side joiners, Fuel tank and battery box tie down fitting on the floor, Dual motor pads and heavy duty pontoon towing rings; Transom to pontoon adapter fully reinforced, marine sealant is applied which resists leakage. 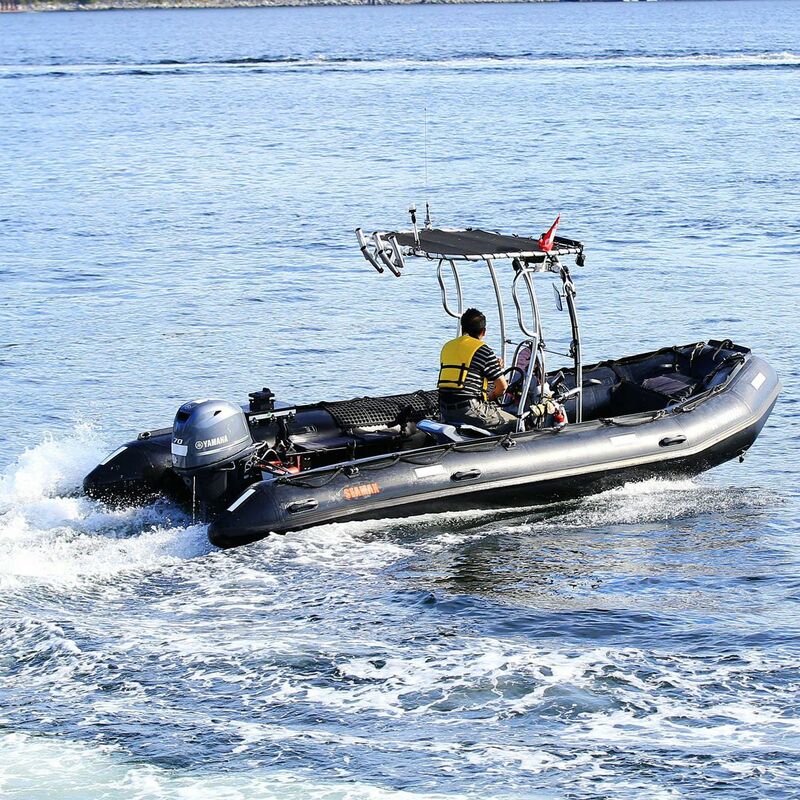 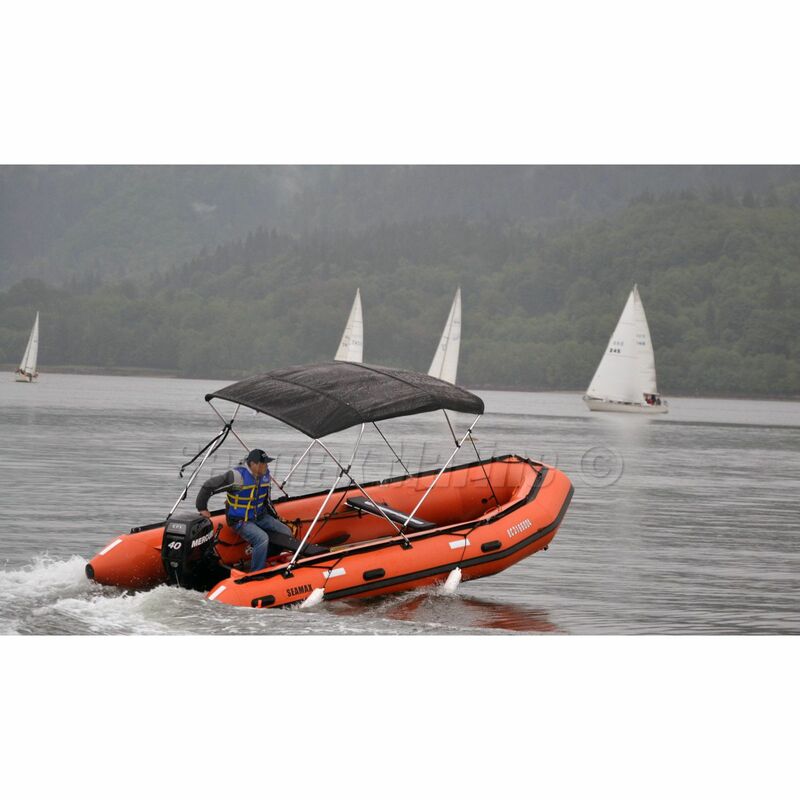 Multiple D-ring kits installed on the inside of the pontoons, 3 x front towing rings with tow line; Full size towing rings on transom, 6 x heavy duty handles, Oar lock set installed, 3 position seat receiver.